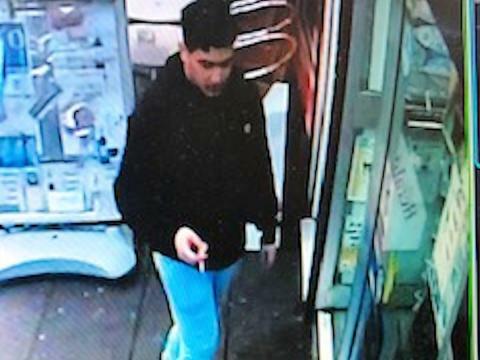 Sussex Police would like to speak to this man in connection with the theft of a handbag in Eastbourne. A woman in her 80s was walking along Grand Parade, Eastbourne, around 7.45am on Sunday (2 December) when a man approached her from behind and stole her handbag. The suspect is described as an Asian man, in his early to mid-20s, around 5’ 7” and with short dark brown hair. He was wearing a black jacket, jeans, black trainers with a white sole and carrying a black rucksack. If you recognise the suspect or witnessed the incident please email or call 101 quoting 314 of 02/12.